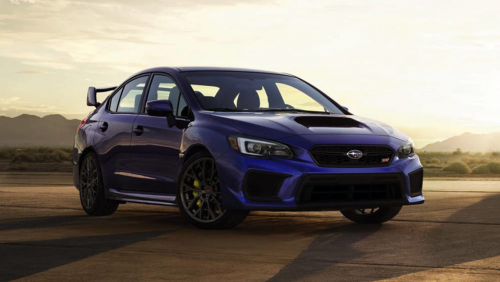 The WRX and the STI are high-performance vehicles that incorporate Subaru’s formidable all-wheel drive system. But what separates a WRX from an STI? Here’s a breakdown of the significant differences between these turbocharged vehicles. The Subaru WRX is a turbocharged version of the Subaru Impreza. It is powered by Subaru’s four cylinder, turbocharged 2.0 liter Boxer engine. This 268 horsepower, inter-cooled engine can produce 258 lb-ft of torque. This allows the WRX to run at a top speed of 155 mph. A manual transmission WRX can go from 0-60 in 5.2 seconds, while an automatic takes 5.7 seconds to go from 0-60. A standard WRX comes in all-wheel drive and manual transmission and is available in automatic and CVT as well. The SI-drive, or the Subaru Intelligent Drive is an effective throttle management system that allows a driver to choose between three modes: “Intelligent,” “Sport,” and “Sport Sharp.” This feature is available only on the CVT version with the switch mounted on top of the steering wheel. The 2017 edition of the WRX has five trim levels (including the WRX STI versions) and all are available only as a sedan. 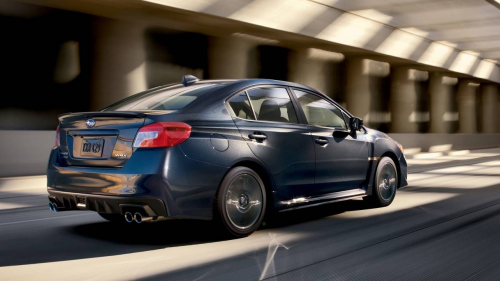 The WRX trim levels include the base, Premium, and Limited editions. In addition, the STI trim is available in base and Limited trims. The STI, or Subaru WRX STI, is a variant of the Subaru WRX. The name STI stands for Subaru Tecnica International, the motorsport division of Fuji Heavy Industries. The Subaru STI draws its rally racing might from its turbocharged 305 horsepower, four cylinder, 2.5 liter Boxer engine with direct fuel injection and the Subaru Dual Active Valve Control System. The STI’s Boxer engine is capable of 290 lb-ft of torque and a top speed of 174 mph. A manual STI can go from 0-60 in 4.8 seconds. The first Subaru WRX STI was released in 1994 and was based on the Japanese GC8B Impreza. In the UK, the most noteworthy STI is the 22B coupe released in 1998 where only 16 units were officially brought to the country. In addition, there was the Prodrive-tuned P1 released only in the UK in 2000. There was also the 2004 STI WR1 and the 2006 STI RB320. So what’s the difference between a Subaru WRX and an STI? The Subaru STI is a variation of the Subaru WRX, but there are few major differences between these high-performance cars. The WRX runs on the 268 horsepower, 2.0 liter, four-cylinder Boxer engine capable of producing 258 lb-ft of torque. The STI, on the other hand, is a variant of the WRX which has a 305 horsepower, four cylinder 2.5 liter Boxer engine with direct fuel injection. It is a more powerful car than the WRX as it capable of 290 lb-ft of torque. A manual WRX can go from 0-60 in 5.2 seconds and has a top speed of 155 mph while a manual STI takes 4.8 seconds to run from 0-60 and reach speeds of up to 174 mph. The WRX is available with a subtle lip spoiler. The STI, on the other hand, comes with a standard park bench spoiler. The Subaru Intelligent Drive throttle management system is only available in on a continuous variable transmission WRX while the STI offers it as a standard feature. Check out this YouTube clip for more about the Subaru WRX and Subaru WRX STI.